President Nicolas Maduro tells Venezuelans fleeing their country's economic collapse to come home and "stop cleaning foreign toilets"
A day after Maduro told the hundreds of thousands of his compatriots who have already fled the region's worst economic crisis in recent memory "to return from economic slavery: stop cleaning toilets abroad and come back to live in your homeland," Communications Minister Jorge Rodriguez claimed many are trying to do exactly that. Rodriguez said Venezuelan embassies around the world are inundated with requests from citizens to return home, but that the government "cannot publicize it until it's happening in real time" for fear of "retaliation against those Venezuelans seeking repatriation." On Monday, Venezuela chartered an airplane to bring 89 citizens back home from Peru, where Maduro said they had suffered "racism, contempt, economic persecution and slavery." Rodriguez singled out Peru, Ecuador and Colombia for special criticism as countries where Venezuelans have been the victims of "xenophobia and hate crimes." Brazil President Michel Temer said the troop deployment was aimed at providing "security for Brazilian citizens but also Venezuelan immigrants fleeing their country." Temer didn't specify how many soldiers would be sent but the move suggested a hardening of attitudes towards Maduro's government. 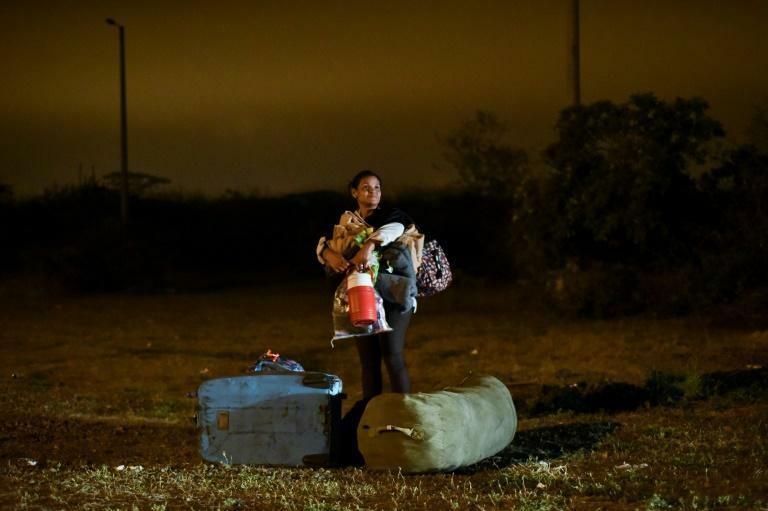 Temer called on "the international community to adopt diplomatic measures" to halt the "tragic" exodus of Venezuelans that "threatens the harmony of practically the entire continent." But he added: "Brazil respects the sovereignty of other states, but we have to remember that a country is only sovereign if it respects its people and looks after them." OAS chief Luis Almagro said Maduro's "dictatorial government" had created an "exasperating" situation and shown "a complete disassociation from the people's problems" as well as an "absolute inability" to provide "basic necessities." "None of the countries is prepared to be able to deal with the migrants or the impact of their arrival," said Peter Hakim of the Inter-American Dialogue think-tank. 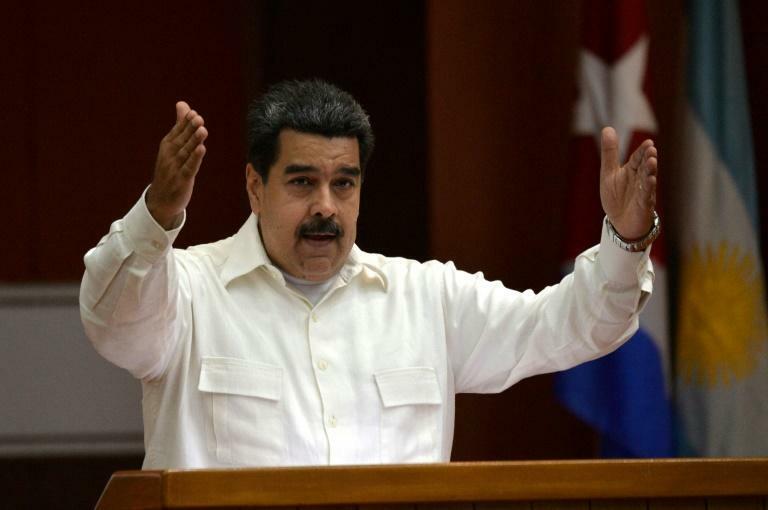 "He has challenged many patterns of political behavior in the region," which "now has a collective motivation to put Venezuela back" on the path of democracy, said David Smilde of the Washington Office of Latin America (WOLA) research center. Far-left leader Maduro has branded the exodus a "right-wing campaign" and says he's sure the migrants will return to take part in the country's rebuilding following his raft of reforms aimed at breathing life into Venezuela's dying economy. Reforms include increasing the minimum wage by 3,400 percent, redenominating the currency -- removing five zeros -- that was also devalued by 96 percent and fixed to the value of Venezuela's largely discredited cryptocurrency, the petro. There's also been an increase in the value added tax (VAT) and reduced gasoline subsidies -- Venezuelans pay the lowest prices in the world for fuel -- as well as a new tax on remittances sent home from foreign-based citizens. "It's a disaster, we don't have basic foods. The measures are pure lies, they'll bring more hunger and unemployment," 34-year-old doctor Marielsi Ochoa told AFP. 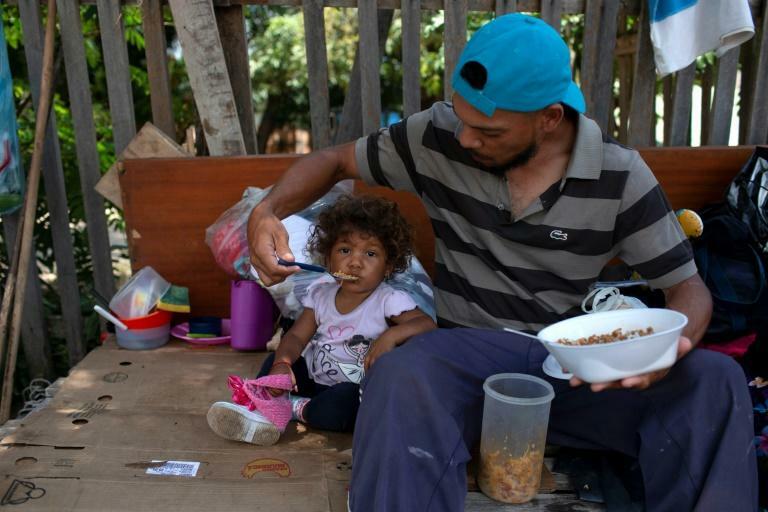 "How can ordinary people remain in Venezuela with massive food shortages, medicines and medical care virtually unavailable, jobs scarce or badly paid, schools without teachers, escalating crime rates and no signs of relief?" said the Inter-American Dialogue's Hakim.